Many people think of Space as a quiet and desolate vacuum of emptiness, but new evidence reveals that space is rife with activity beyond our comprehension. Just as we sent Voyager and Pioneer probes beyond our solar system, Aliens have probes of their own that may have arrived as early as the 1600’s. While Tesla was the first to successfully communicate with neighboring worlds using radio waves, we have received recent signals from intelligent sources. In 1989, Russian Space Probe Phobos 2 photographed a UFO on the surface of Mars just prior to losing contact. Scientists have determined that the craft was real and of a thin elliptical shape over 20 miles in length. 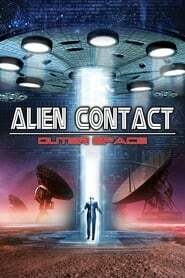 We are not alone in outer space and while the Aliens may be initiating contact, they could also be here already.